Raleigh is the county seat of Wake County and State Capitol of North Carolina. The Raleigh real estate market currently offers great deals on homes for sale, now is a great time to invest in Raleigh. With the Raleigh downtown undergoing modernization efforts, there are an abundance of condominiums available. If you´re in traditional residential single family homes, there are plenty of styles and neighborhoods to choose from in Raleigh. From the historic homes in Oakwood to the differing architectural styles that have sprung in Raleigh through the years, you´re sure to find the exact home you are looking for. There are many opportunities from new constructions to leisure historic homes. Raleigh is a city is that´s growing quickly and so has access to all the big city amenities. The Downtown area sports an excellent nightlife with plenty of restaurants and clubs to choose from. For the family, the unique culture and history of the area are evident in the many events Raleigh is host to year round. Raleigh is a great place to live, work and play. Raleigh is home to a large number of institutions of higher learning. Without a doubt, the quality of education is of utmost importance to Raleigh residents. This can be seen easily in the way the Wake County Public School System works tirelessly to provide all the educational programs and amenities to ensure that every student in the district is provided with a fine education. The local schools of Raleigh add to the value of the property here. You are investing in the future of your family and your community alike when you buy a home in Raleigh. In addition to the fine public schools, Raleigh is also home to a number of Charter and Private institutions such as the Casa Esperanza Montessori School and the North Raleigh Christian Academy. Browse through our featured listings today to see what´s on the market and you can find out more about the neighborhoods you might be living in, including what local schools you have access to. If you´re looking to sell your home, you can find our more about what goes into your home´s value right here as well as browsing seller´s tips. 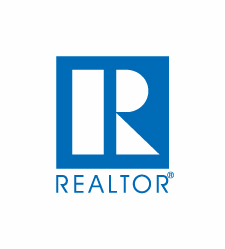 You can use this website to view Raleigh homes for sale, Raleigh real estate agents, Raleigh area information and access useful resources. Use the detailed MLS search covering Raleigh and all of Wake County to search all properties listed on the online housing market, and locate a housing agent serving the area and get professional advice now. This web resource also gives researchers the resources to explore the housing market by searching nearby schools, viewing local demographics, see local places of interests, events and news and so much more! Please contact us with any questions and concerns you have.